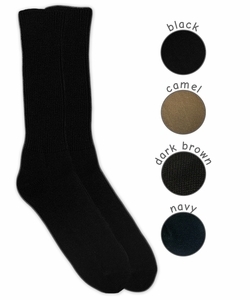 Men's classic acrylic crew sock. Made in the USA! Camel colorway shown in photo is sold out.